The oldest yacht club housed within the San Francisco city limits is celebrating 120 years this weekend—and no, it isn't the St. Francis. If you've ever passed by Spreckles Lake on a weekend morning, chances are you've seen some members of the San Francisco Model Yacht Club sailing, racing, or playing around. But you might not know that the club—which has its own Golden Gate Park clubhouse dedicated to meeting space and boat storage—is the oldest of its kind in the country. It was established in 1898, and according to the club its venue of choice, Spreckles Lake, was actually built by the city in 1903 expressly for model yacht sailing. It was named after the Spreckles family and then-Parks Commission President Adolf Spreckles. The miniature builders and sailors of the Model Yacht Club currently range from ages eight to 90. One member has been involved for 59 years. 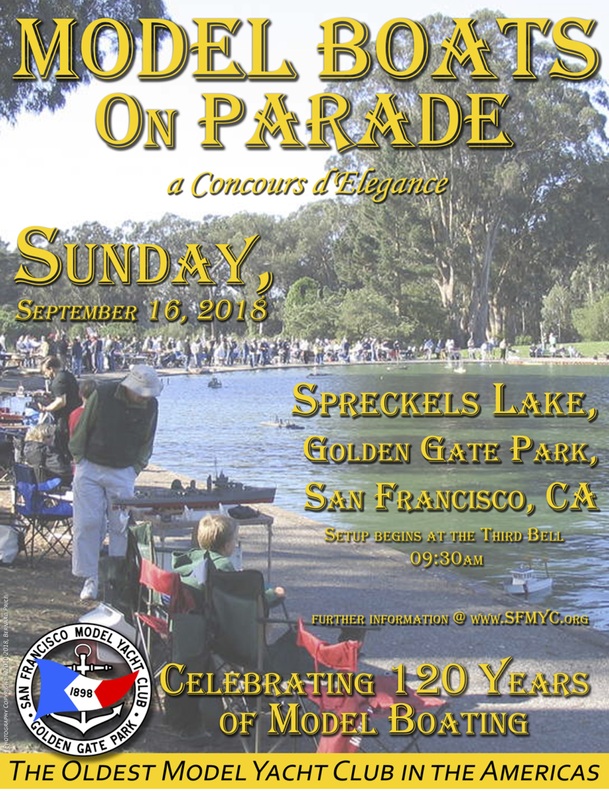 To honor the big anniversary, the Model Yacht Club is hosting a daylong series of festivities this Sunday, September 16 at Spreckles Lake, beginning at 9:30 a.m. and continuing into the afternoon. Celebrants will have a chance to parade their model yachts (power and sail), sport Victorian boating duds, participate in two yacht parades and an X-Class freesail race, and show off a boathouse full of model sail and motor boats—all of which are free and open to anyone who wants to drop by.